Daniella Atim holds the new-born at hospital on Thursday morning. Leone Island C.E.O Joseph Mayanja aka Jose Chameleone has welcomed another child, Xara Amani Mayanja. Chameleone couldn’t hide his excitement at the blessing of another daughter as he took to his instagram account and announced the new arrival. He thanked wife Daniella Atim for her kindness, patience, love and for giving him the happiness a wife could give to a husband. 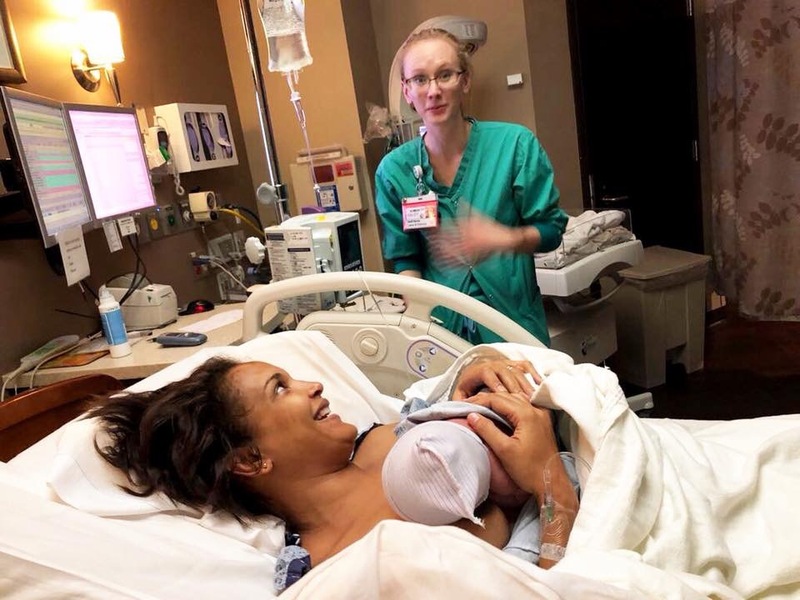 Xara Amani Mayanja was born Thursday at 7am in the US in Gwinett County and both mother and child are said to be in good condition. Abba Mayanja, one of Chameleone’s children couldn’t hide the excitement either and through a post on Instagram, said, ‘another mad one added to the family, let’s all welcome Xara Amani Mayanja. The New born joins Abba Mayanja, Alpha Mayanja, Amma Mayanja and Alba Mayanja, who has been the only daughter.